The Liberal City Commission met Tuesday evening at 6:30pm for their regularly scheduled meeting. Among the items on the agenda, the Commission proclaimed March as National Nutrition Month. Cassandra from Liberal Memorial Library was on hand to accept the Proclamation, and invite everyone to the Children’s Healthy Fun Fair on March 6th at the Seward County Ag Building. The Commissioners also approved the Final Readings of several Ordinances including, Ordinance 4421 which Adopts a Neighborhood Revitalization Plan, Ordinance 4422 which establishes a Code Of Ethics for City Officials and Employees, Ordinance 4423 which establishes a Building Safety Board of Appeals, and Ordinance 4424 which establishes a Set of Codes for Building, Building Regulations, and Code Enforcement. The Commission adopted Resolution 2190 which sets a Fee Schedule for Contracrors, and approved the purchase of a Loadall truck for the Solid Waste Department with the amount not to exceed $200,000.00 with the money to come from the Equipment Reserve Fund. 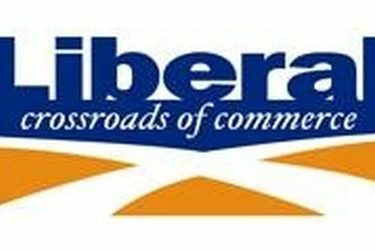 The next meeting of the Liberal City Commission will be March the 11th.